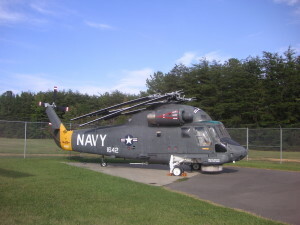 Kaman Seasprite helicopter – built by Kaman Aircraft Corp, Bloomfield, Connecticut. 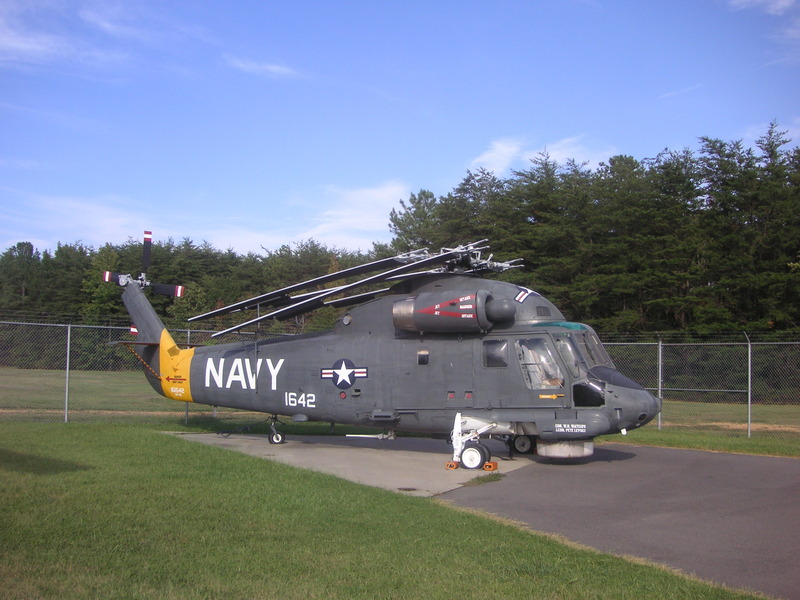 On the morning of May 20, 1979, a U.S. Navy HH2-Delta Seasprite helicopter left Norfolk, Virginia, with five crewmen aboard, bound for the Brunswick, Maine, naval air station. The crew was assigned to Light Helicopter Anti-Submarine Squadron 30, also known as HSL-30. The purpose of the flight was for instrument training. At about 9:30 a.m. the aircraft was passing over Manchester, New Hampshire, at an altitude of 5,000 feet when it suddenly went down and crashed near Manchester Airport. The weather at the time was cloudy and raining. Lieutenant Commander Lynwood H. Duncan, 33, of Greensboro, North Carolina. He’s buried in Elmwood Cemetery in Oxford, North Carolina. Lieutenant Commander James P. Hogan, 34, of Davenport, Iowa. Lieutenant Paul L. Mellott, Jr., 31, of Chesapeake, Virginia. He’s buried in Rest Haven Cemetery in Hagerstown, Maryland. He was survived by a wife and two children. Petty Officer 2nd Class Michael J. Kennedy, 25, of Warminister, Penn. Airman Paul J. Dellas, 21, of San Jose, California. On December 7, 1975, a flight of four U.S. Marine Corps A-4 Skyhawk fighter jets left South Weymouth Naval Air Station in Massachusetts for a routine training flight. One of the aircraft, Bu. No. 150135, was piloted by Captain Andrew J. Ley, 30, a Marine Corps Reserve officer from Natick, Massachusetts. While the flight was passing near Colebrook, New Hampshire, Captain Ley was forced to bail out of his aircraft. The Skyhawk reportedly went down in a wilderness area near Colebrook. Captain Ley parachuted safely, and was assisted by some local men who happened to see his chute deploy. He was transported to the Pease Air Force Base hospital for treatment of minor injuries. 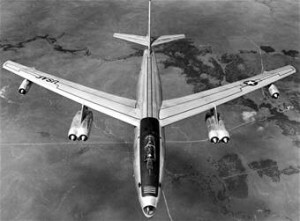 At 3: a.m. on the morning of July 21, 1965, an Air Force B-47 jet bomber was approaching Pease Air Force Base after an 11-hour training flight when it was discovered that the landing gear would not come down. The aircraft then circled the base for the next five hours while the crew attempted to fix the problem, but they were unable to do so. With fuel running low, there was no choice but to attempt a belly landing. The runway was covered with foam and the pilot made a pass over the runway at 50 feet to check conditions. He then brought the aircraft in and touched down without landing gear. The crew deployed drogue chutes to slow the aircraft, and it skidded along the tarmac for 250 yards before coming to rest. There was no fire and none of the four crewmen aboard were injured. Lt. Col. James B. Price, of Waco, Texas. Captain Yale R. Davis Jr., of Salina, Kansas. Captain Ronald E. Newton, of Hastings, Nebraska. Lieutenant Charles S. Franco, Brooklyn, New York. New London Day, “Crippled AF Jet In Safe Belly-Landing”, July, 22, 1965 – with photo of aircraft on runway. On December 8, 1964, a B-47E Stratojet bomber carrying four airmen crashed and burned shortly after takeoff from Pease Air Force Base. When it reached an altitude of 1,000 feet it suddenly plunged into a wooded area about two miles from the end of the runway. All aboard were killed. The resulting fire burned two unoccupied cabins. (Pilot) Major Daniel J. Campion Jr., 54. (Co-pilot) Captain Truman A. Burch, 28. (Navigator) Major John R. North, 30. (Observer) Captain Bennie Ward Forrester, 27. The plane was with the 351st Bomb Squadron, 100th Bomb Wing, assigned to Pease AFB. Schenectady Gazette, December 9, 1964, Page 17. 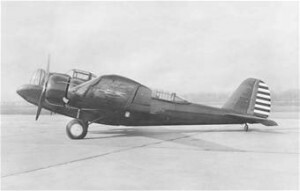 At 1:04 p.m. on January 14, 1942, an Army Air Corps B-18A, (#37-619) took off from Westover Field in Chicopee, Massachusetts, for an anti-submarine patrol over the Atlantic. (Pilot) 1st Lt. Anthony Benvenuto, of Brooklyn, N.Y.
(Co-pilot) 2nd Lt. Woodrow A. Kantner, of Cranford, N.J.
(Navigator) 2nd Lt. Fletcher Craig, of Gridler, California. (Engineer) Pfc. Richard G. Chubb, of Billerica, Mass. (Radio Operator) Pfc. Noah W. Phillips, Jr., 20, from Fayetteville, Arkansas. He’s buried in Hester, Cemetery in Fayetteville. (Bombardier) Pfc. Raymond F. Lawrence, 21, of Worcester, Mass. He’s buried in Hope Cemetery in Worcester. (Photographer) Robert P. Picard, of Springfield, Mass. When the plane left Westover, the weather over Massachusetts was clear with strong winds which caused some turbulence for the airplane. After traveling 250 miles out to sea the pilot turned the aircraft around and began heading back towards land. Then the plane got caught in a strong wind shift and drifted off course, and the oncoming darkness made visibility difficult. Once the plane reached land the crew tried to get their bearings by using the plane’s radio and radio compass, but couldn’t do so due to extreme static. The sky was overcast and the night was very dark. That, combined with wartime blackouts made it difficult for the crew to recognize any landmarks below. The overcast grew thicker and after awhile the pilot was flying on instruments at 4,000 feet, while the co-pilot watched for any breaks in the clouds. At 8:04 p.m. the co-pilot shouted a warning that there was a mountain ahead, and the pilot hade a sharp turn to the right just before the plane struck Mt. Waternomee at 160 miles per hour. The aircraft broke apart on impact scattering wreckage over a wide area, and the subsequent fire set off the cargo of bombs. Two crewmen, Pfc. Raymond F. Lawrence, and Pfc. Noah W. Phillips, were killed in the crash. Miraculously, the other five crewmen survived. Some sources, including the Air Corps crash investigation report, have put the location of this crash as being on Moosilauke Mountain, but this is incorrect. The crash occurred on Mt. Waternomee. On January 17, 1917, a navy airplane, (Serial number 75-A), was flying over the Piscatagua River in Portsmouth, presumably near the Portsmouth Navy Yard. As the pilot was making a turn, “wind (got) under the tail rudder”, and the plane fell into the water. It was reported that “…neither the aviator or the machine was injured.” The type of aircraft, and the pilot’s identity, were not stated. At 2:30 p.m. on January 14, 1949, a flight of five P-51 aircraft took off from Grenier Air Force Base in Manchester, N.H. for a scheduled dive bombing and rocket training mission. Each plane carried two 100 lb. bombs and six rockets. 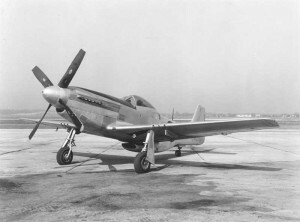 The flight was led by Captain Elmer V. Kramer, 30, who was piloting a P-51D, (#44-74965). After take off, the flight headed for the New Boston Bombing Range located about ten miles to the west of Grenier Field. 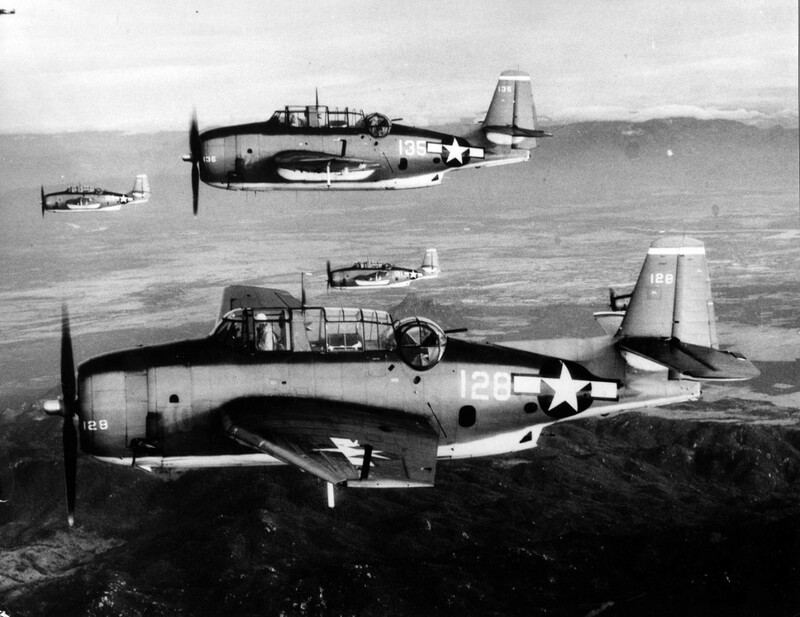 Upon arrival at the range, the first four aircraft took positions at 7,800 feet in anticipation of making their respective “runs” while the fifth aircraft dropped to 4,000 feet to score the bombing results. Captain Kramer decided to make a dry run over the range, and while doing so, while traveling at an approximate speed of 210 mph, the left wing suddenly tore loose at the fuselage sending the aircraft into an uncontrollable series of snap-rolls as it fell. The plane crashed and exploded into a wooded area near the range killing Captain Kramer. Investigation revealed that the left wing had signs of an old crack in the metal which apparently had gone undetected, leading to a total structural failure during the flight. Capt. Karmer was assigned to the 82nd Fighter Wing. This accident involved both military and civilian aircraft. On Monday evening, September 20, 1971, a twin-engine Piper Apache took off from Portland, Maine, bound for Lebanon, New Hampshire. The plane arrived near Lebanon shortly after 8:00 p.m., where thick fog shrouded the area. As the aircraft was making its approach to Lebanon Airport, it crashed into the side of Smart’s Mountain. The mountain is about 3,240 feet high, and the aircraft impacted about 1,500 feet from the summit. There were three people aboard, Jeanne Bennett, 47, of Post Mills, Vermont, and Hans Klunder, 42, and Robert E. Stewart, 27. Mrs. Benet was killed, and Klunder and Stewart were seriously injured. The men managed to build a fire, the smoke of which attracted rescuers to their location. It was reported that all three aboard the aircraft were pilots, and it was unclear as to who was flying the plane at the time of the crash. A New Hampshire National Guard helicopter arrived at the scene and two guardsmen prepared to repel down a rope to assist the survivors. The first guardsman landed safely, but the second, Specialist 6 Frederick Bartlett, 33, of Manchester, N.H., fell and was killed. The survivors were brought down the mountain in a motorized vehicle and transferred to Mary Hitchcock Hospital in Hanover, N.H.
Nashua Telegraph, “Rescuer Killed In Fall At Airplane Crash Site.” September 22, 1971. On November 5, 1964, five U.S. Air Force KC-97 tanker planes were scheduled to take off from Pease Air Force Base as part of an airborne refueling training mission. The first three took off successfully, however the forth aircraft crashed and exploded on take off, scattering debris across the Pease golf course, and nearby Route 101. All five crewmen aboard were killed. (Pilot) Capt. Robert Louis Thompson, 33, of Vernon, Connecticut. (C0-Pilot) Capt. Michael Peter Valavon, 27, of Jersey City, New Jersey. (Navigator) 1st Lt. Larry C. Dennis, 25, of Richmond, Virginia. (Boom Operator) S/Sgt. Gerald William Schulz, 32, of Milwaukee, Wisconsin. (Flight Engineer) S/Sgt. Richard Earl Towle, 36, of Kittery, Maine. The men were assigned to the 100th Air Refueling Squadron. Two civilians, a mother and her daughter, were slightly burned when the accident occurred. They had been sitting in a car on Route 101 watching the aircraft take off. On the night of April 15, 1958, a U.S. Air Force B-47E Stratojet, (#52-562), crashed on take off from Pease AFB in Portsmouth, New Hampshire. The aircraft had risen to about 700 feet before it suddenly plunged into a swamp near the end of the runway and burst into flames. The smoke from the fire could be see for fifteen miles. (Aircraft Commander) Captain Richard D. Burns, 27, of Royal Oak, Michigan. He’s buried in Gilgal Cemetery in Heltonville, Indiana. To see a photograph of Capt. Burns, go to www.findagrave.com, Memorial #63005578. (Pilot) 1st Lt. Edward S. Starley, 25, of Delta, Utah. He’s buried in Delta City Cemetery in Delta, UT. He was survived by his wife Helen. (For more info see www.findagrave.com, Memorial #42217304. (Crew Chief) S/Sgt. Jennings V. Ware, 23, of Webster, West Virginia. He’s buried in Cool Spring Cemetery in Webster County, W.V. To see more info go to www.findagrave.com, Memorial #93245519. All four men were assigned to the 830th Bomb Squadron, 509th Bomb Wing, stationed at Walker Air Force Base in New Mexico. On April 2, 1985, two Air National Guard F-106 fighter jets were on a training flight 30,000 feet over the Lake Winnipesaukee region when they accidentally collided in mid-air. One aircraft, piloted by Capt. Paul Worcester, was able to make it to Pease Air Force Base about fifty miles distant and land safely. The other F-106, piloted by Col. John Anderson, crashed in a wooded area off Route 28 in the town of Wolfboro. Col. Anderson was able to eject and land safely. On August 15, 1959, two air force jets en-route from England Air Force Base in Louisiana, to Westover AFB, in Chicopee, Massachusetts, each ran out of fuel and crashed in New Hampshire. One plane, piloted by Capt. Russell Nelson, 27, of Big Spring, Texas, crashed in an isolated part of New Boston, a town west of Manchester. Capt. Russell was seen ejecting from the aircraft, but according to witnesses his parachute didn’t open. His body was found next to his ejection seat after a twelve hour search. The other jet, piloted by Capt. James Howard, crashed and burned on a mountain in the neighboring town of Lyndeboro, about six miles from the New Boston crash site. Capt. Howard parachuted safely. On August 10, 1959, a B-52C Stratofortress bomber aircraft, (#54-2682) left Westover Air Force Base in Chicopee, Massachusetts, for a routine flight. Approximately fifteen minutes into the flight, while at 21,000 feet and climbing, crew members heard a loud “thud”. The noise was described in the Air Force investigation report as being “Like a water jug that had fallen from its rack and struck the floor”. The aircraft commander, Captain George E. Kusch, made a check with the crew to see if anyone could identify the source of noise, but none could. The aircraft continued its climb to 34,000 feet where it leveled off. Then somewhere in the vicinity of the Boston-Concord area a series of sharp noises were heard believed to be related to the radar antenna, shortly before the radar system became inoperative. A few minutes later there was a loud “bang”, followed by a rush of air. The gunner notified the pilot that he’d seen parts of the aircraft fly past his position. These parts were determined to be from the plane’s chin-radome. At this time the altimeter indicated a change in altitude, and the air-speed indicator read zero, and a mild vibration set into the aircraft frame. The pilot notified Westover of the situation and was directed to land at Goose Bay, Labrador. As the plane was crossing Saddle Back Mountain, at an altitude of 29,000 feet, the vibration turned to buffeting. The crew attempted several standard measures to compensate but none were successful. The buffeting grew progressively worse while the aircraft began dropping at the rate of 1,000 to 1,500 feet per minute. When the aircraft had dropped to 14,000 feet, the order was given for the crew to bail out, which they did. Two minutes later, Capt. Kusch, who was still with the aircraft, advised that the buffeting had suddenly ceased, and that he thought he might be able to land safely. However, less than three minutes later the buffeting suddenly returned, shaking the plane so violently that Capt. Kusch thought it was going to break apart, so he ejected. (Pilot) Capt. George E. Kusch, of Westwood, New Jersey. (Co-pilot) 1st Lt. Joseph B. Hunt, 28, of Chicopee, Mass., and Catonsville, Maryland. (Navigator) Capt. Thaddeus J. Choate, Jr., of Ludlow, Mass., and Odessa, Texas. (Radar Observer) Capt. Donald C. Bell, 38, of Ludlow, Mass., and Odessa, Texas. (3rd Pilot) Capt. Joseph Biyins, of Owensboro, Kentucky. Capt. Wayne Vogt, 33, of Indianapolis, Ind. T/Sgt. Merrell R. Hethorn, 34, of Indian Orchard, Mass., and Kitsap, Washington. (Tail Gunner) T/Sgt. Arnold Newman, 27, of Holyoke, Mass. and Los Angeles. 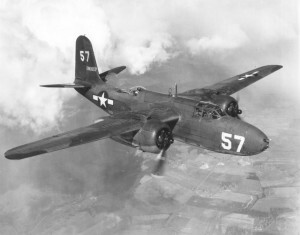 The aircraft was assigned to the Strategic Air Command, 57th Air Division, 99th Bomb Wing. Unknown Newspaper, “Quietest Ride Aloft: Chute 13 In A Drizzle”, (Officer of Crashed Westover B-52 Tells Of Experience; Plane Couldn’t Be Flown”) unknown Date. Unknown Newspaper, “All Eight Parachute Into Spruce Swamp”, unknown date. There is not a lot of information about this accident. 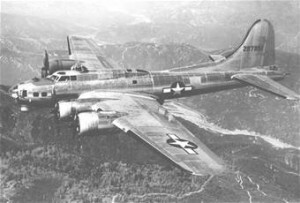 At 4:30 p.m. on the afternoon of August 19, 1943, a U.S. military C-49J, (#43-1971), was seen circling Island Pond in Hampstead, New Hampshire, at altitude of between 1,000 and 1,500 feet with its wheels extended, when it suddenly went into a spin and crashed into a wooded area. All five men aboard were killed. 2nd Lt. Charles Appier. He’s buried in Star of Hope Cemetery in Huntington, Indiana. 2nd Lt. Robert W. Barron. He’s buried in Holy Cross Cemetery in Escanaba, Michigan. Pfc. Robert A. Bell. He’s buried in Union Cemetery in Flandreau, South Dakota. Pfc. Conroy Newcomb. He’s buried in Wayne Cemetery in Lewis, Kansas. To see a photo of Pfc. Newcomb, go to www.findagrave.com, Memorial #55021812. 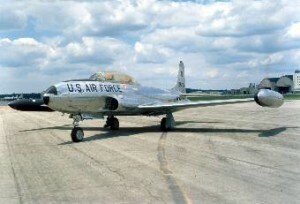 On July 13, 1951, a T-33A training jet (#49-943A), took off from Grenier Air Force base in Manchester, New Hampshire, for a training flight to Westover Air Force Base, in Chicopee, Massachusetts. Twelve minutes into the flight, while the aircraft was at 15,000 feet over the town of Milford, the rear third section of the Plexiglass canopy exploded without warning. Pieces of the canopy struck the wings and other portions of the aircraft causing substantial damage, however the pilot and instructor aboard weren’t injured. The aircraft immediately returned to Grenier Field without further incident. Investigators suspected the cause was due to a malfunction with the cockpit’s pressure regulator and relief valve. The aircraft was repaired and put back into service. On the morning of July 15, 1951, 1st Lt. Alfred J. Tobias, and Captain Macsata, of the 101st Fighter Interceptor Group assigned to Grenier Air Force base in Manchester, New Hampshire, began their shift as alert pilots. At 12:41 p.m., they were scrambled for an intercept flight, and took off in separate F-47 aircraft. (Lt. Tobias was flying A.C. #44-8976A) After intercepting “friendly” aircraft over the Newburyport, Massachusetts, area, they intercepted other aircraft over the Portsmouth, New Hampshire, vicinity. At approximately 1:25 p.m., while still in the air, the officers were directed to climb to 20,000 feet and intercept a training flight of P-51 Mustangs over southern New Hampshire. Both Lt. Tobias and Capt. Macsata climbed to altitude, and at 1:45 p.m. reported they were at 19,500 feet. Sighting the flight of P-51’s, Capt. Macsata directed Lt. Tobias to bring his position “line abreast” of the formation to which Lt. Tobias acknowledged. Both aircraft then went through a series of short maneuvers after which Lt. Tobias’ aircraft began to dive towards the ground. Capt. Macsata tried calling to the lieutenant but go no response. Lt. Tobias’s plane continued downward in an estimated 80 to 85 degree angle before it crashed and exploded. The destruction of the aircraft was so catastrophic that investigators were unable to examine the wreckage for possible mechanical malfunctions. It was theorized that there may have been a problem with the plane’s oxygen system. Lt. Tobias was a veteran of WWII, and earned his pilot’s wings on August 4, 1944. He’s buried in St. Joseph Cemetery in Bound Brook, New Jersey. 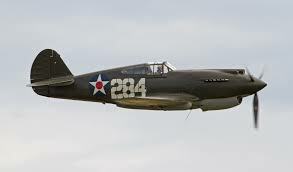 On June 20, 1942, 2nd Lt. Clevio R. Rogo, 25, took off from Grenier Field in Manchester, New Hampshire for a scheduled two hour training flight in a P-39D-1 aircraft, (Ser. No. 41-28317). Twenty minutes later he was returning to the field due to what was later assumed by investigators to be engine trouble. In the official accident investigation report it was stated, “No contact was made with the tower and it is the concensus of the committee that engine trouble may have been experienced which did not enable the pilot to maintain sufficient flying speed on his turn into the field to avoid going out of control.” Lt. Rogo was killed when his plane crashed and burned about one mile south of the airfield. Lt. Rogo obtained his pilot’s rating on December 12, 1941. He was assigned to the 5th Fighter Squadron stationed at Grenier Field in Manchester. On August 24,1945, a U. S. Army B-17G “Flying Fortress” (44-83577) crashed on approach to Grenier Army Air Field in Manchester, New Hampshire. The plane impacted a wooded area about three miles short of the runway. Three men aboard were killed, and two others were seriously injured. Their names were not published. At the time this incident occurred, the United States was not yet involved in World War II. The specific type of aircraft involved in this incident is not mentioned. Shortly after midnight on October 2, 1941, a squadron of Royal Canadian Air Force twin-engine bombers were dispatched out of Yarmouth, Nova Scotia, to search for a German submarine reportedly attacking shipping off the coast of Halifax, Nova Scotia. 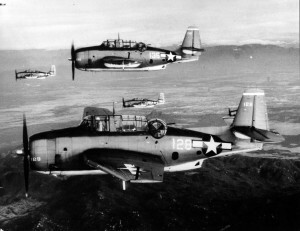 During the mission, one aircraft became separated from the formation and had to return on its own. As it neared the coast it veered off course and wound up over the Portsmouth, New Hampshire Area. At this point the aircraft was low on fuel, and the pilot, Flight Lieutenant Peter H. Douglas, ordered flares dropped in an effort to see an open area to make an emergency landing. A 100 acre field in the town of Greenland, New Hampshire, was selected, and Douglas made for it. Those aboard the aircraft held their breath, for two 250 pound live bombs still hung in the racks beneath the left wing. Douglas opted not to jettison them because the plane was over a populated area, as well as another country, knowing full well they could explode during the crash landing. As the plane approached, Douglas kept the landing gear up, the nose high, and “pancaked” down onto the field. The momentum carried it a considerable distance all the while tearing up the earth as it slid and bounced across the land before finally coming to rest. When it stopped, the crew quickly bailed out and ran for their lives fully expecting the bombs or any remaining fuel to set off a series of explosions, but thankfully none came. The other crew members included the co-pilot, Lloyd Fulton, flight mechanic Sgt. Alan M. Roy, and gunner John A. Boyd. Everyone remained a safe distance from the aircraft until they were reasonably certain no danger of explosion existed. When the bombs were examined, it was found they were still secure in their racks, but hung only a few inches from the ground. Arrangements were made for the aircraft to be dismantled and brought to an undisclosed location for repair. On the morning of April 24, 1944, a B-24 bomber, (42-5111), with ten crewmen aboard, left Grenier Air Field in Manchester, New Hampshire, bound for overseas duty in Europe. The weather that day was poor, with only a 1,300 foot cloud ceiling. Less than ten minutes after take off, the aircraft crashed into the top of a 1,400 ft. mountain in the town of Epsom, New Hampshire. All aboard were killed. The Portsmouth Herald news articles of the crash published in 1944 identified the crash site as being on Washtub Mountain. However, one modern source identifies the mountain as Nats Mountain. Bozek ran up the mountain to see if he could help, but when he reached the crash site he saw there was nothing he could do. (Pilot) 2nd Lt. Marvin M. Rupp, 26, of Winfield, Kansas. He’s buried in Highland Cemetery in Winfield. (For a photo of his grave go to www.findagrave.com Memorial #58978546.) He was survived by his wife Maxine. (Co-pilot) 2nd Lt. James H. Jones, 21, of Alumbank, Pennsylvania. He’s buried in Ligonier Valley Cemetery. (For a photo of his grave go to www.findagrave.com Memorial #24357871) He was survived by his wife Virginia A. (Navigator) 2nd Lt. Ardeth K. Gannon, 26, of Rockwell City, Iowa. (Bombardier) 2nd Lt. William G. Hunold, 22, of 404 Sterling Place, Brooklyn, New York. (Radio Operator) Staff Sgt. Anthony L. Ferrone, 27, of New York, N.Y.
(Gunner) Sgt. Lloyd E. Utley, 25, of Mt. Vernon, Indiana. (Flight Engineer) Sgt. Francis M. Weaver, 36, of Bryan, Texas. He died just four days after his 36th birthday. He’s buried in Bryan City Cemetery, in Bryan, TX. (For a photo of his grave go to www.findagrave.com Memorial #90458409) He was survived by his wife Hattie N. Weaver. Town of Epsom, New Hampshire, death records. Associated Press, (Unknown Paper) “Nine Bodies Are Found In Wrecked Army Plane”, date unknown. Specifically mentions the pilot (Lt. Rupp) as being one of the nine. No other names mentioned. Posted on Findagrave.com, Memorial #58978546. On March 24, 1943, First Lieutenant Alan J. Bamberger of the Quartermasters Corp was killed when he accidentally walked into a spinning propeller of a B-25C (42-32340) that he was scheduled to fly on as a passenger. The aircraft was assigned to the 13th Anti Submarine Squadron then assigned to Grenier Field in Manchester, New Hampshire. Larry Webster, Aviation Archeologist & Historian, Charlestown, R.I. Fatal Army Air Forces Aviation Accidents In The United States 1941-1945, by Anthony J. Mireles, McFarland & Co. 2006. 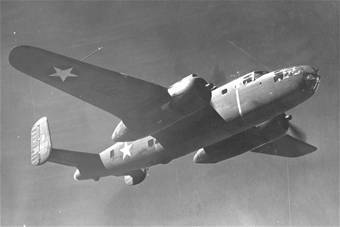 At 9:15 a.m., on April 2, 1942, a Douglas A-20 Havoc, (Ser. No. 40-108) with a crew of four aboard, took off from Grenier Field in Manchester, New Hampshire, for a training flight. Just after becoming airborne the pilot discovered that the landing gear would not retract. He circled the airfield to land the plane, but aborted the attempt when he discovered further problems with the hydraulic pressure system. After gaining sufficient altitude, the crew worked on fixing the problems. After making temporary repairs, the pilot was cleared to land on runway 17, but upon touching down the brakes failed while the plane was halfway down the runway. The pilot couldn’t retract the landing gear, and was unable ground loop the aircraft. After avoiding some sandbag obstructions the aircraft plowed though a fence and was wrecked. Fortunately the crew escaped with minor injuries. 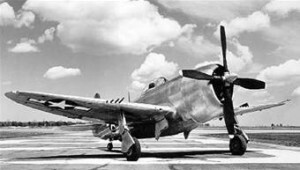 Corporal Charles B. Gannon, Jr.
On May 19, 1943, two U.S. Army P-47D airplanes attempted to land at the same time at Grenier Field in Manchester, New Hampshire, and collided near the intersection of Runways 35 and 24. Both planes became locked together and caught fire. 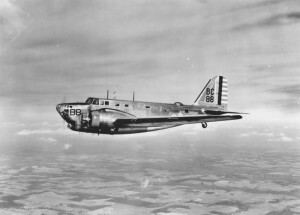 One of the pilots, Lieutenant Gilbert L. Jamison, was able to climb free of the wreck, but the other pilot, Lieutenant Russell C. Wilson was trapped inside his aircraft and burned to death before he could be rescued. Lieutenant Jamison later became an ace with seven aerial victories. Lieutenant Wilson is buried in Grandview Cemetery, Bonners Ferry, Idaho. For a photo of his grave go to Findagrave.com Memorial # 16415555. The Outer Circle – 359th Fighter group Association, WWII, January, 2005, Vol. 16, No. 1, Pg. 5. 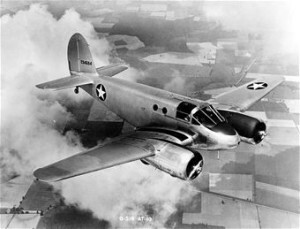 On March 1, 1942, a B-10 aircraft, (Ser. No. 34-83) made a normal landing at Grenier Field during which the landing gear collapsed causing damage to the propellers and fuselage. None of the five crewmen aboard were injured. 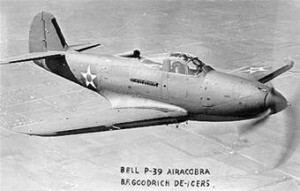 The aircraft was assigned to the Tow Target Detachment. It was noted by the accident investigation committee that the suspected cause was faulty brakes, and that other B-10’s in other Tow Target Detachments had suffered similar accidents. On January 30, 1981, the United States military was conducting a nationwide readiness exercise dubbed Global Shield ’81. The aircraft involved in this accident was taking part in that exercise. At 2:55 p.m., an FB-111 fighter-bomber (No. 68-0263) assigned to Pease Air Force Base in Portsmouth, was returning to Pease when the aircraft began to violently roll and shake. The pilot, Captain Peter Carellas, 33, struggled to maintain control, but when the jet fell below 4,000 feet he and the navigator, Major Ronald Reppe, 39, were forced to eject. The crew of the aircraft landed safely about a 1/4 mile away. 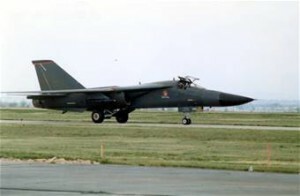 The FB-111 was designed to carry nuclear weapons if necessary, however, at the time of the accident it wasn’t carrying any ordinance. Providence Journal Bulletin, “Fighter Plane crashes; Two Apartments Burn”, January 31, 1981, page 1. On November 8, 1944, a TBM-1C Avenger, (Bu. No. 16890) crashed while flying a bombing practice mission over Manchester, New Hampshire. The pilot and one crewman aboard were killed. (Pilot) Ensign William E. Ames. AEM2C Sherman Eugene Dietz Jr., age 24. He’s buried at Assumption Cemetery in Syracuse, new York. On September 30, 1943, a Beech AT-10, (#42-43597) with two officers aboard crashed in a heavily wooded area of Londonderry near Scobie Pond. The plane did not burn, but both were killed. It was discovered the following day. The dead were identified as 1st Lt. William C. Curtis, and 2nd Lt. Charles Wilson Jr. Source: Nashua Telegraph, “Grenier Field Airmen Dead In Plane Crash”, October 2, 1943. 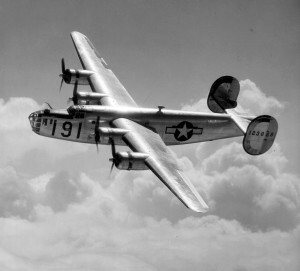 On November 29, 1944, a B-24 Liberator, (#44-49669) took off from Grenier Field in Manchester, New Hampshire, en-route overseas. When the plane was about 16 miles north-east of Manchester it suffered a structural failure in the rear rudder system causing the pilot to loose control. The B-24 crashed and burned at the base of Middle Mountain in Pawtuckaway State Park in the town of Nottingham, N.H. There were no survivors. As part of the investigation into this crash, military authorities spoke with three witnesses who stated the plane was flying low and even, and not trailing smoke of flame. Two reported seeing an object or objects fall away from the aircraft just before the crash. (Co-pilot) 2nd Lt. Wilbur C. Stephenson, 23, of Cokesville, Penn. He’s buried in Blairsville Cemetery, Blairsville Penn. (Navigator) Warrant Officer Russell L. Jones, 20, of Grand Rapids, Mich. He’s buried in Greenwood Cemetery, Grand Rapids, Mich.
(Engineer/Gunner) Cpl. Calvin R. Rickenback, 19, of Ephrata, Penn. (Radio Operator/Gunner) Thomas L. McDougall, 21, of Marydel, Maryland. He enlisted Jan. 22, 1943. (Gunner) Cpl. William L. Swarner Jr., 19, of Overland Park, KS. He’s buried n Highland Park Cemetery, Kansas City. (Gunner) Cpl. Preston K. Smith, 19, of Strawberry Plains, Tenn. He’s buried in Thorngrove Cemetery, Thorngrove, Tenn.
(Gunner) Cpl. Robert H. Wells, 24, of Hanover, N.H. Survived by his wife Myra. Nottingham Community Newsletter, Nov./Dec. 2013, Vol 15, Issue 6.